As part of its Issues in Management visiting professorship series, LBS has the privilege to host Manuel Albaladejo, MPhil who is an Industrial Development Officer at the United Nations Industrial Development (UNIDO) and heads the UNIDO program on Strategic Industrial Intelligence and Governance. In an effort to expose master’s students to the cutting-edge scholarship and practice, LBS regularly appoints visiting professors in its International Management and Leadership program. Mr. Albaladejo will teach a course entitled Competitiveness and the Role of Manufacturing: Theory and Practice in the IML 2015 cohort. He will shed light on the fashionable concept of competiveness from industry, entrepreneurial and global policy-making angles, thereby contributing to LBS’s continuous engagement with the Microeconomics of Competitiveness. The course is designed to equip graduate students with analytical tools and practical methods to understand the competitiveness concept, assess it on the country level, and operationalize competitiveness indicators in a real job situation. According to Manuel Albaladejo, “manufacturing plays a key role in the economic transformation of countries by encouraging the transition from simple, low value-added activities to productive activities that generate more profit and are more closely associated with technological development and innovation.” This focus on manufacturing strongly resonates with Mr. Albaladejo’s research and advisory track, which among many others includes affiliations with the University of Oxford, the World Bank, the Inter-American and African Development Banks, and several UN agencies. 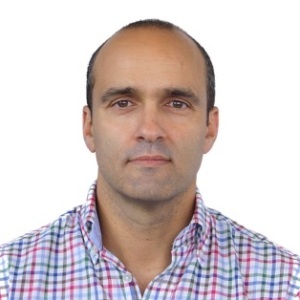 Manuel Albaladejo is a leading private sector development economist with more than 20 years of professional experience in the fields of trade and industry policy, institutional capacity building, and the investment and business climate in developing countries. While at Oxford, he published in the areas of innovation capabilities of SMEs, industrial and trade competitiveness and fragmentation. Furthermore, Mr. Albaladejo is an active contributor to the Harvard MOC Network, of which LBS is also part. LBS is highly pleased to welcome Mr. Albaladejo to its visiting faculty, and looks forward to stimulating exchanges with the IML 2015 students.